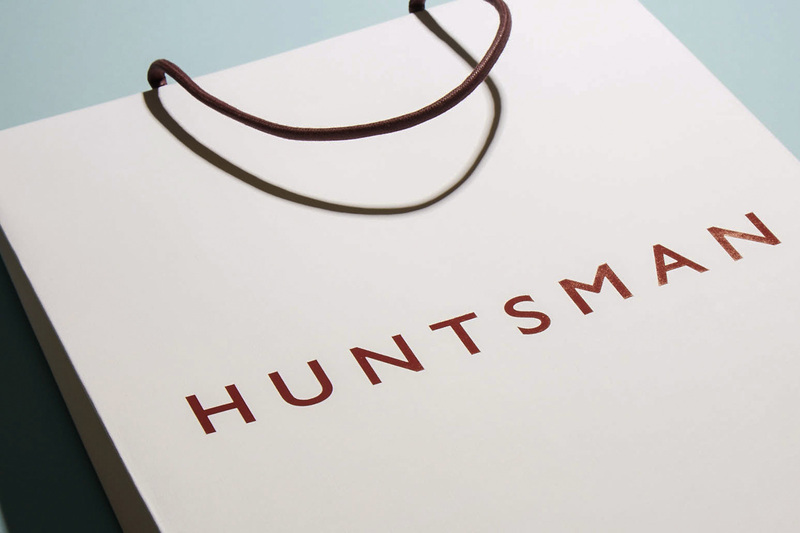 Founded in 1849, the first Huntsman shop was established at No. 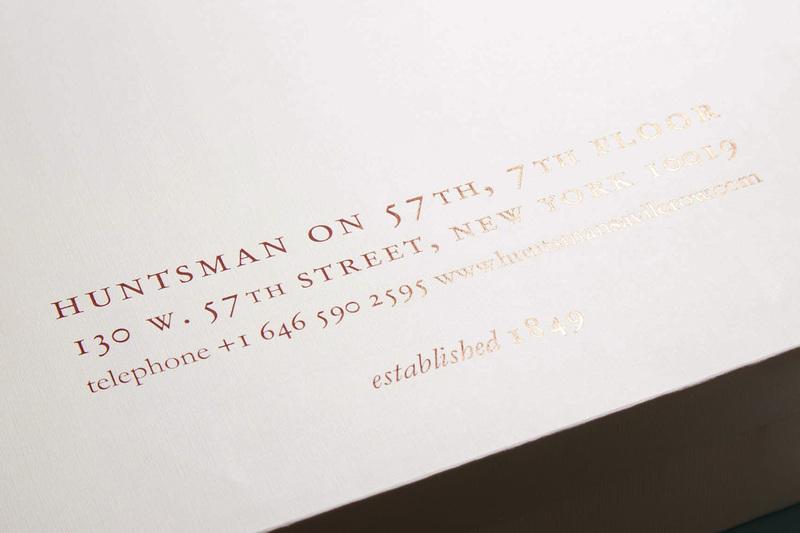 126 New Bond Street by Henry Huntsman. Since then, an impressive 169 year history has seen this uncompromising and quintessentially British tailor establish as one of the finest, most long-standing and innovative bespoke houses on Savile Row. From nineteenth century royalty, including Queen Victoria herself, through to the British military, as well as the golden era of Hollywood, Huntsman tailors has been dressing the most prestigious names in recent history, including Clark Gable, Winston Churchill, Bing Crosby, Laurence Olivier and Paul Newman, to name a few. Although they started out as specialists in equestrian and sporting clothing, the 1930s saw the firm evolve to a bespoke fashion house, setting the company on the path it follows today. Ready to wear clothing was added to their line in the 1960s, and 2016 saw their first international store opening in New York. 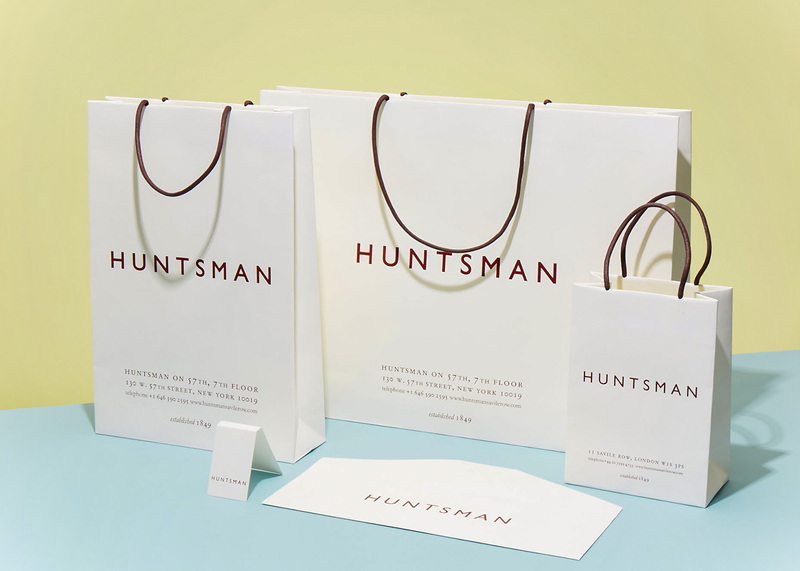 We produced three different sized retail bags using three different weights of paper. Each one was made using custom-dyed and Buckram embossed paper, with a custom-dyed and wax-coated 5mm cord handles fitted to the top edge. Foil blocked logos were placed to the outer also.